tea! I love me some herbal tea. 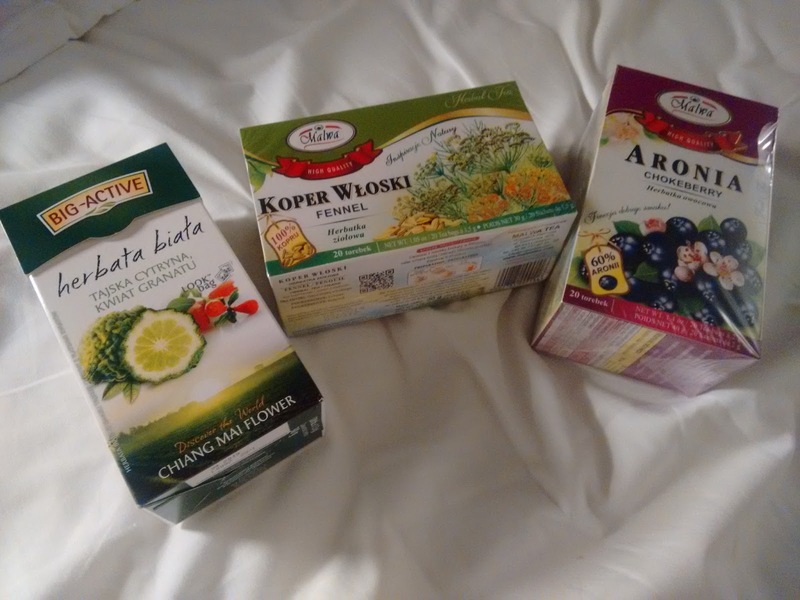 In this tea purchase, I bought some fennel tea, which I've had in some other mixtures before. There is also aronia (chokeberry) tea, which I recognize from books about foraging but have never tried before. The last tea is chiang mai flower and I have no idea what that is so I thought, why not buy it to find out? Usually it's fun to buy things that are unknown. The only time it didn't work out was when I bought a mix for Hungarian goulash in Macedonia and couldn't read any of the various languages on it to find out how to make it and also realized that it probably involved using meat, which is not my thing. D'oh!